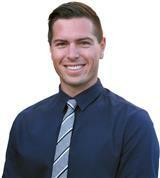 Nick Ahrens has been involved in real estate since 2011. He is a graduate of USC and is an avid surfer, guitar player and hiker. As a native of Orange County and San Clemente his intimate knowledge of area is a great asset. Nick’s expertise in property evaluations and appraisals ensures his clients are getting the best deal possible. Nick is very passionate about his work and his clients and works diligently from start to finish to ensure his clients have the best representation throughout the entire transaction.